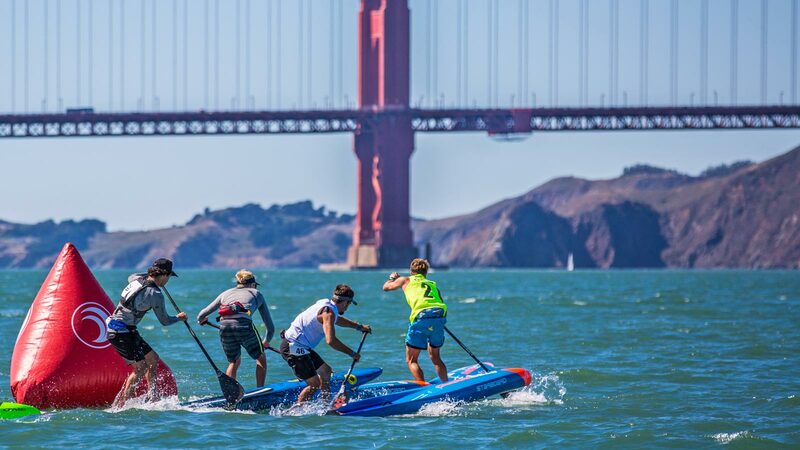 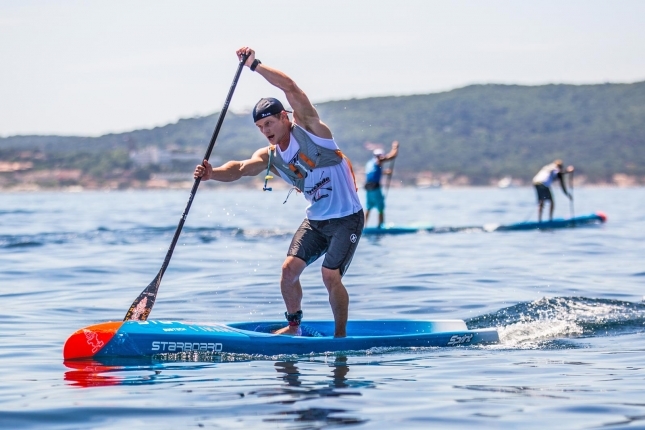 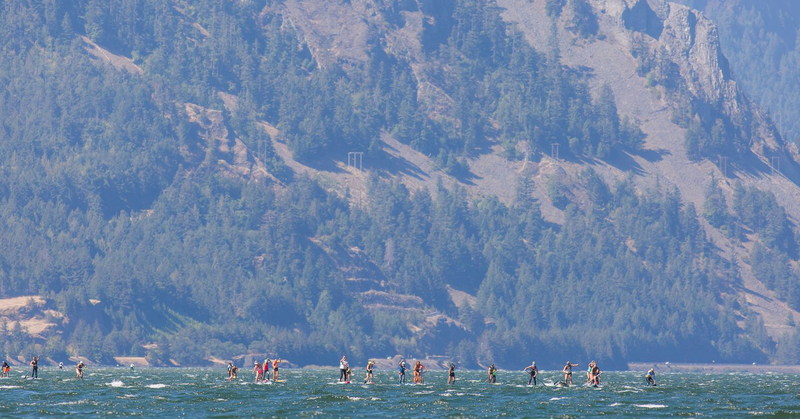 In brief: Bruno Hasulyo and Olivia Piana have taken out the inaugural Florence Paddle Games in Italy, overpowering a strong domestic field to claim the prize money and Paddle League points. 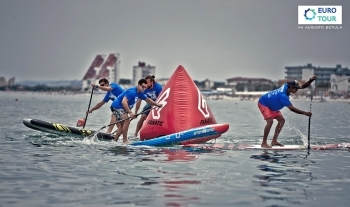 …and Leo Nika outlasted Paolo Marconi to win the race in Noli, Italy. 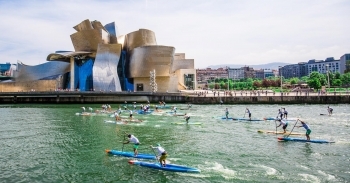 Michael Booth has taken a virtually unassailable lead in the race for the 2017 EuroTour championship title, with the Aussie powerhouse claiming his second straight win at the Bilbao Paddle Challenge as key rivals Connor Baxter and Titouan Puyo faultered. 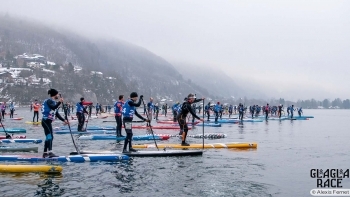 In brief: Martin Letourneur and Olivia Piana have taken out the 2017 GlaGla Race in the French Alps, with a massive 345 competitors descending upon a cold but sunny Lake Annecy in what was an amazing celebration of the sport. 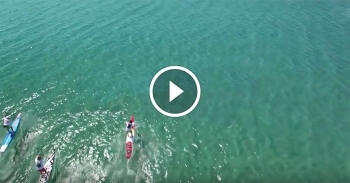 Zane Schweitzer and Connor Baxter have just taken the hydrofoil craze to a bizarrely-awesome new level, showing off their freakish talents at the Starboard dealers meeting in San Diego the past couple of days. 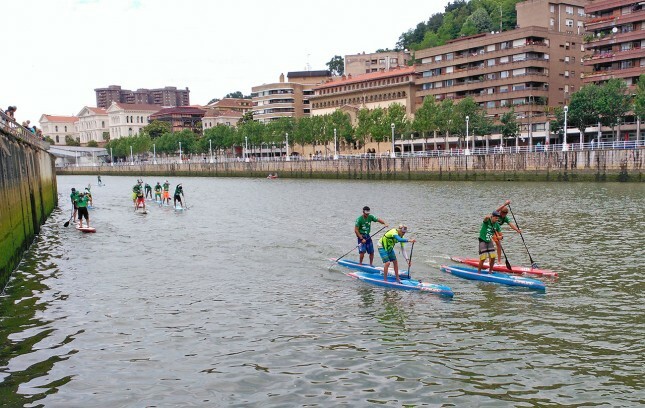 As we drove from Helsinki Airport north into the Finnish countryside, and as the city buildings gave way first to regional towns and then to nothing at all, I wondered: Why on earth are we coming here for a SUP race? 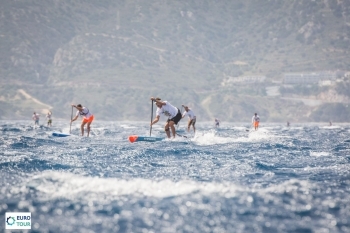 Check out this great highlights reel from the Greece’s On Board Festival, held last weekend in the historic city of Marathon as Week 9 of the 2016 EuroTour presented by Starboard. 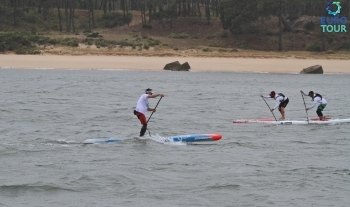 Michael Booth and Sonni Honscheid have claimed the prestigious “Lost Mills” race in Europe, defeating an all-star lineup at the fourth and largest stop of the 2016 EuroTour presented by Starboard. 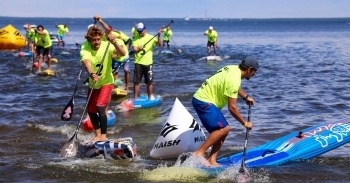 Results are in from Japan, where the World Series is holding the second of its four stops this year. 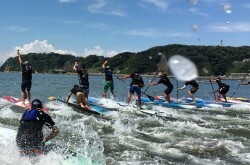 The Hayama Pro has attracted an elite little group of the world’s best young (and a few not so young) paddlers, including Kai Lenny, Connor Baxter, Candice Appleby and Fiona Wylde.